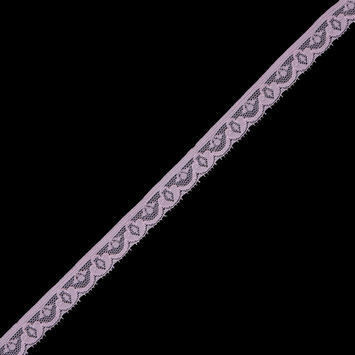 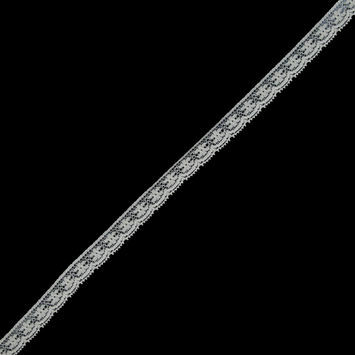 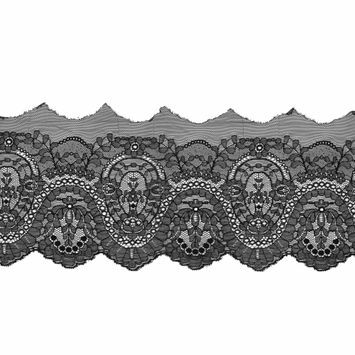 Fine Lace Trim is perfect for adding a touch of refined glamour to any ensemble, from garments to home decor. 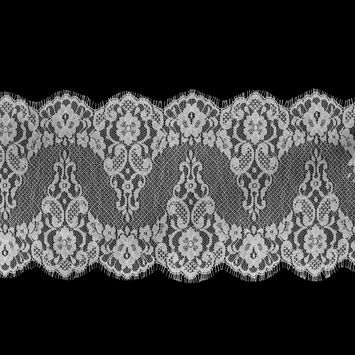 The origin of lace is a hotly disputed issue, as both the Italians and the Flemish have claimed that they created lace. 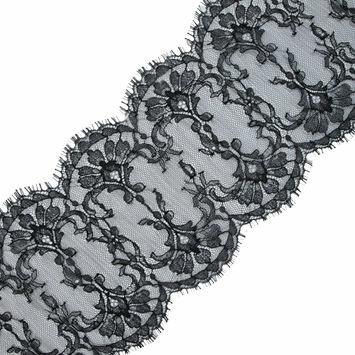 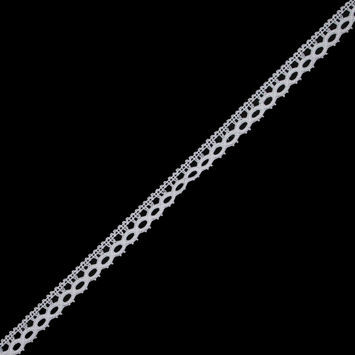 Regardless of where lace comes from, it was first documented in the late 1400s. 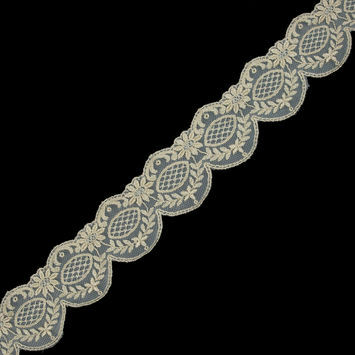 It wasn't until the 16th century that lace started to develop rapidly, becoming an important part of fashion and culture. 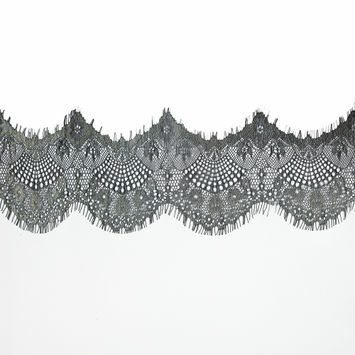 Add fine lace trim to flowing blouses for a delicate look, or to necklines and cuffs for a Victorian feel. 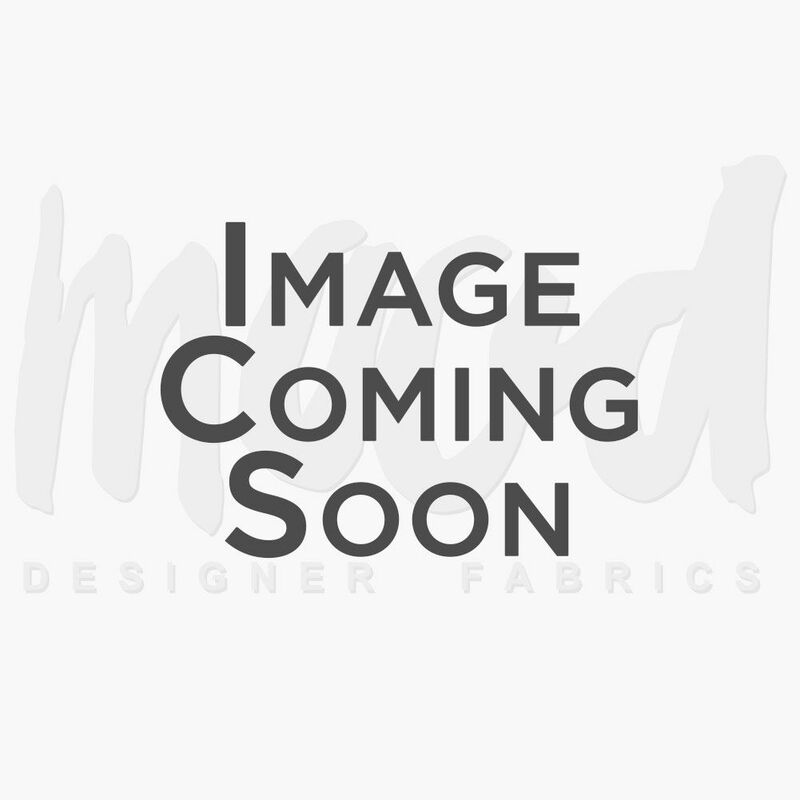 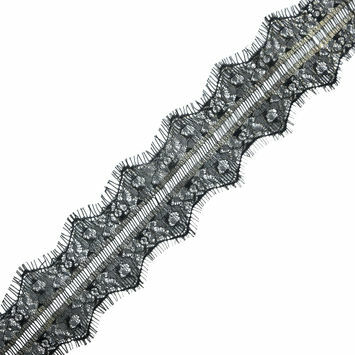 Metallic Gold Scallop-Edged Embroidered Mesh - 2.5"
Black Fine Lace Trim 0.5"
Black Fine Eyelash Lace - 2.5"
Black Fine Double Scallop Edge Lace Trim - 6.5"
White Double Border Lace Trim - 8.5"
Beige Double Border Lace Trim - 7.25"
Cream Lace Trim - 0.5"
Italian Fine White Lace Trim with Eyelash Edges - 7"
Italian Fine Black Lace Trim with Eyelash Edges - 7"
Italian Metallic Black and Gold Scalloped Lace Trim - 4"
Italian Metallic Black and Gold Scalloped Lace Trim - 3"
Black Fine Floral Lace Trim - 1.5"
Black Fine Floral Lace with a Scalloped Edge - 7"
Black Double Scallop Fine Floral Lace Trim - 9.5"
Pink Stretch Floral Lace Trim - 8.5"
Pink Lace Trim - 0.625"
Black and Metallic Gold Scallop Edge Lace Trim - 2"
Black Fine Floral Lace Trim - 0.5"
Fine White Floral Lace - 1.75"
Ivory Fine Floral Venise Lace Trim - 1.75"
White Fine Lace Trim - 0.5"
Black Fine Lace Trim - 0.5"
Black Fine Lace Trim - 2.75"
Cream Fine Floral Lace Trim - 0.5"